The concept centered on the idea that the programmes were breaking out of the screen, the characters and sets merging and combining. 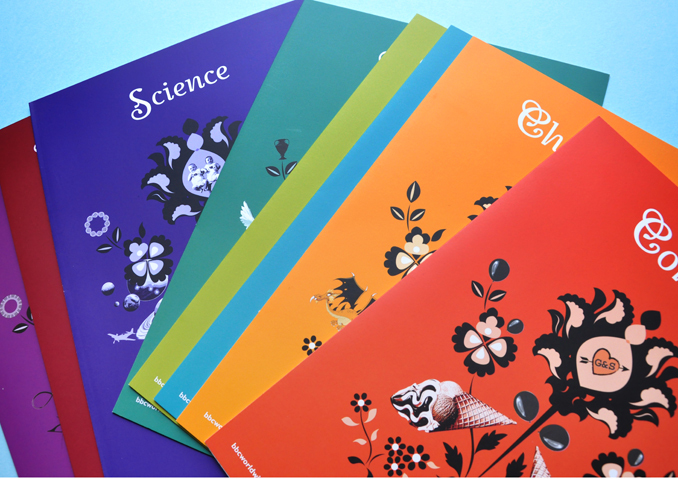 Graphic elements from the different programmes were combined to create a wallpaper motif for each program category, used on printed materials. 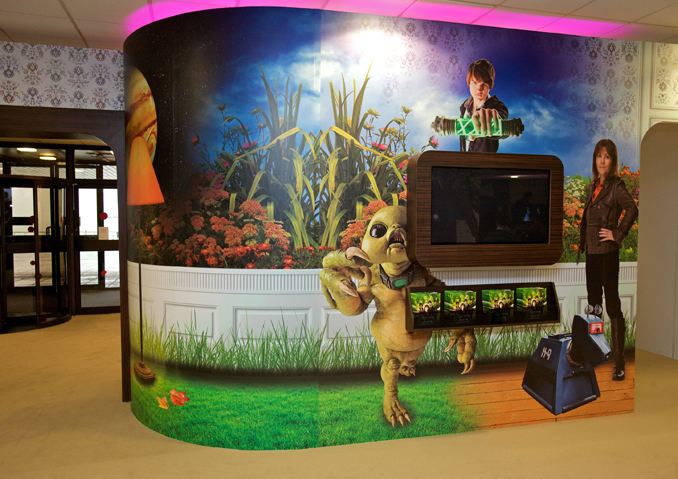 These different motifs were then combined to create a wallpaper backdrop for the floor to ceiling wall graphics.